Time to limited. Late check in at 4pm and have to be out by 10am or charge another day. Barely time to get up, have coffee and pack up. 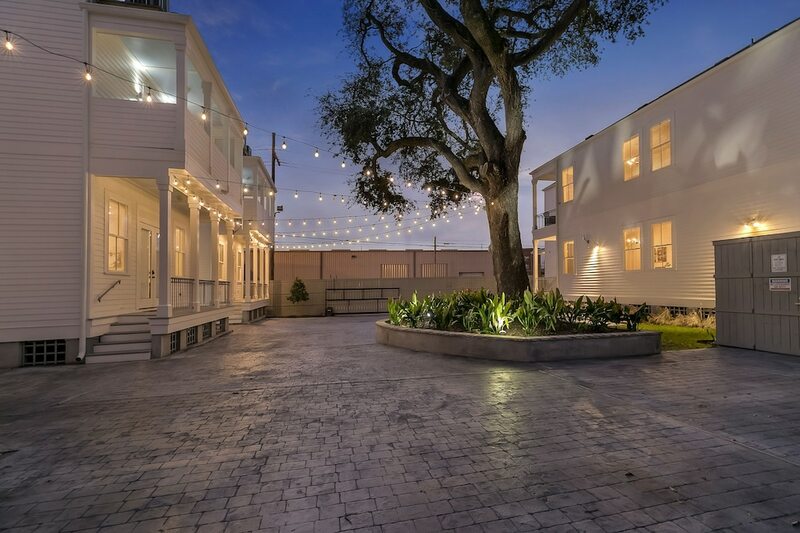 Located in Central City within a short walk of National World War II Museum, Residences Du Carondelet by Hosteeva is within a mile (2 km) of other popular sights such as Ernest N. Morial Convention Center. The 10 rooms at this 3.5-star condo building include kitchens, living rooms, and refrigerators. Each condo is individually decorated and features a kitchen and space to spread out with a living room. Guests can enjoy a flat-screen TV and stay connected with free WiFi. The bathroom offers hair dryers and free toiletries. Other standard amenities include a coffee maker, a ceiling fan, and an ironing board. Guests of Residences Du Carondelet by Hosteeva enjoy features like an outdoor pool, free WiFi in public areas, and laundry facilities. Dear Guest, thank you for your feedback. Please bear in mind that our housekeeping staff requires sufficient time to clean and prepare our units for the next guest to check in, that is why our checkout time is 10am. Dear Guest, It makes us really sad you feel this way. We wish you would have provided us with more information so we could know what was wrong and fix it. Our staff was delighted to have read that you had such a magnificent stay. Please feel more than welcome to return whenever you feel is best! Recreation features at Residences Du Carondelet by Hosteeva include an outdoor pool. The nearest major airport is New Orleans, LA (MSY-Louis Armstrong New Orleans Intl. ): 22-min drive, 15.2 mi/24.5 km. Check-in for condos 1523B, 1525D,1529, 1533 arebased at a different location, 1719 Terpsichore street. For more details, please contact the property using the information on the reservation confirmation received after booking.